Only a limited amount of Balcony Obstructed View* seats left for $15 each! 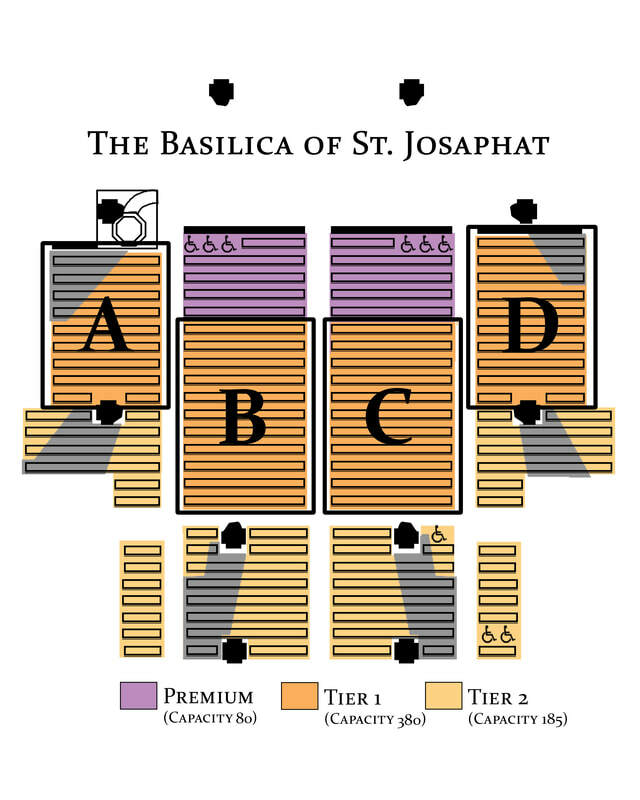 *Obstruced View: You will have a beautiful view of the Basilica of St. Josaphat and can hear the performance. However, you will not be able to see the chorus because of the way the balconies are situated in the facility.